MoNaLISA in the making. A "Smart Microscope” proposal wins MPB’s “Celebration of Innovation” contest. Home > News > News Releases> MoNaLISA in the making. A "Smart Microscope” proposal wins MPB’s “Celebration of Innovation” contest. Decenber 4, 2017 - MPB Communications Inc. is pleased to announce Ilaria Testa, Assistant Professor at the Royal Institute of Technology in Stockholm, Sweden as the winner of MPB’s “A Celebration of Innovation” competition. Professor Testa’s proposal “MoNaLISA microscopy for live neuronal imaging at the nanoscale” has won her the use of an MPB Visible Fiber Laser for a three-year period. Her intention is to develop MoNaLISA (Molecular Nanoscale Live Imaging with Sectioning Ability) “a smart microscope to unravel the nanoscale organization of the brain.” Synapses are the basic element of neuronal connections and circuit formations; their function regulates fundamental processes such as learning and thinking as well as the appearance of neurodegenerative diseases such as Parkinson and Alzheimer. Analyzing protein clusters and neuronal organelles is difficult because they are small and tightly spaced. Professor Testa aims to develop, for the first time, MoNaLISA, a nanoscopy platform that enables super resolution imaging of synapses in living organisms or tissues, where neuronal connections are preserved. “We couldn’t be happier than to have the opportunity to work with Professor Testa,” commented Jane Bachynski, president of MPB Communications Inc. “She embodies exactly what we were hoping the winner of this contest would – a spirit of innovation.” While her proposal suggested a range of possible lasers for her project, after discussions, MPB has decided to move forward with custom development of a new product which best addresses the needs of Professor Testa’s research, which MPB hopes to commercializes thereafter. 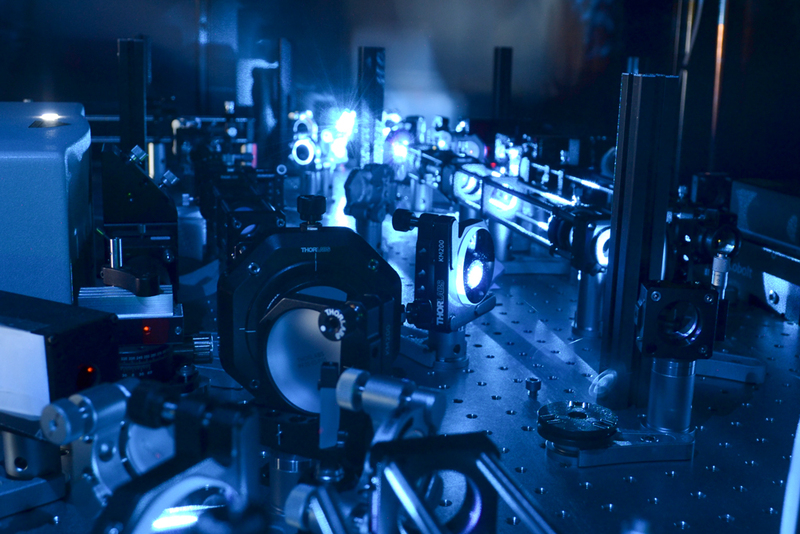 In the meantime, Professor Testa will make use of a MPB 592-nm cw laser for her research. The contest was part of a year-long “MPB Celebration of Innovation” initiative celebrating our 40th anniversary with the purpose of giving young researchers access to unique tools allowing them to explore their own innovative ideas. First introduced in 2006, MPB’s visible fiber laser (VFL) series have a reputation for unique wavelengths, unsurpassed beam quality, reliability, and stability. The range of wavelengths have expanded by the company’s willingness to address the specific needs of the research community. Collaborations with innovative researchers include: Dr. William Telford at the NIH National Cancer Institute Core Flow Cytometry Facility; Dr. Vladislav Verkhusha, Department of Anatomy and Structural Biology at the Albert Einstein College of Medicine; and Nobel Laureates Dr. Stefan Hell at Max Plank Institute and Dr. Eric Betzig of the Howard Hughes Medical Institute. With twenty-six commercial wavelengths from 488-nm to 775-nm, with powers from 0.2 to 5 Watt, MPB Fiber lasers are the go-to choice for researchers worldwide. Prototyping MoNaLISA: screenshot of the first MoNaLisa illumination module. The blue light is used to optically control molecular conformation and fluorescence properties. Professor Testa has been an Assistant Professor at the Royal Institute of Technology (KTH, Stockholm, Sweden) since 2015. The goal of her new-born group is to develop the novel paradigms made available by super-resolution microscopy to address contemporary challenges in biophysics and molecular biology. To achieve these goals, they will push forward the quantitative aspect of live cell imaging by setting up and applying different concepts of super-resolution microscopy based on single molecules detection (PALM/STORM/GSDIM) and target switching (STED/RESOLFT). 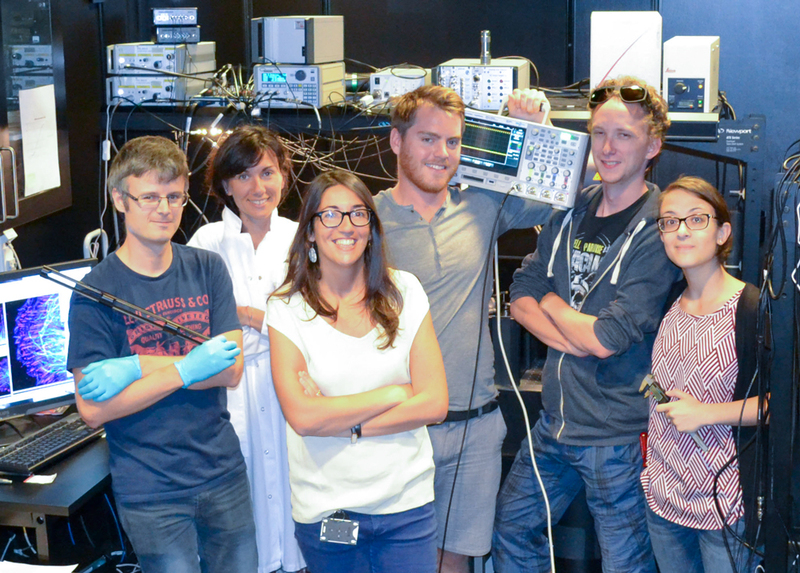 These next generation microscopes will allow the precise identification of populations of biomolecules depending on their localization, abundance and dynamics inside their native environment, with a special effort dedicated to investigating neuronal proteins, especially in synapses, where trafficking organelles and protein complexes are so tight in space that resolving them requires high resolution in space and time.